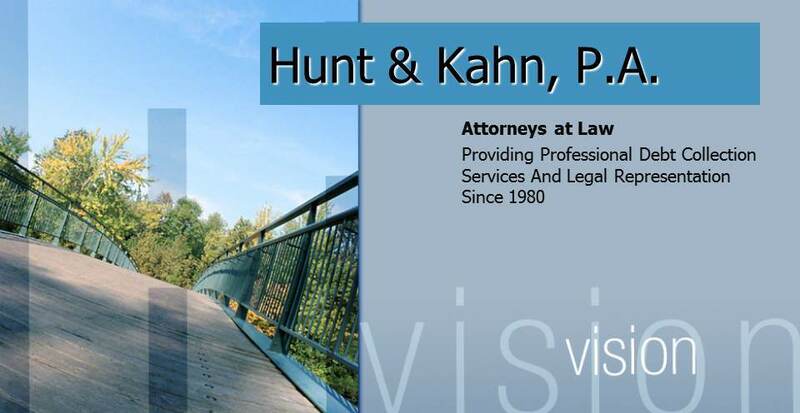 Legal Notice: Hunt & Kahn, P.A. (formerly Wagner & Hunt, P.A. ), is a law firm that engages in debt collection. Any information received in response to this website or associated websites may be used for that purpose.